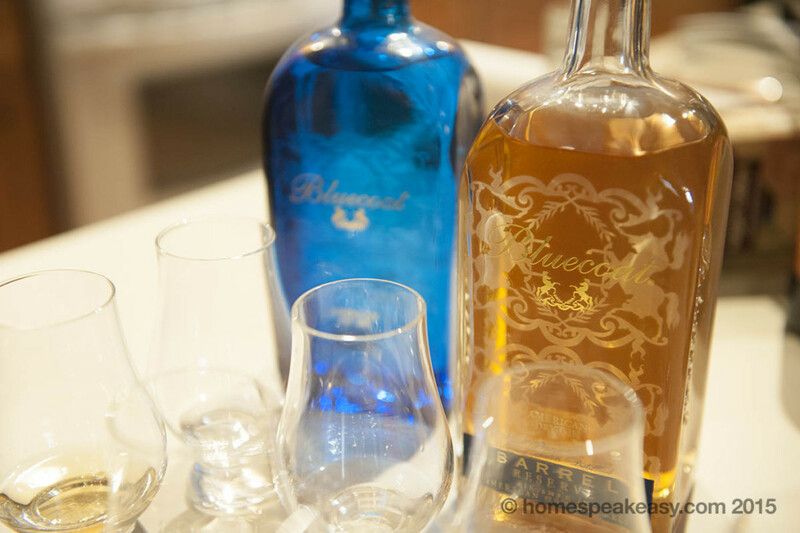 Last week, we decided to get together with a few of our friends from Rocks or Neat and Whiskey Club to do some tasting and experimenting with the backlog of samples we’ve been sent by people. We just gathered up the booze and went out to buy a bunch of generic cocktail ingredients to have on hand, and really get into experimenting with drinks rather than preparing complicated syrups and shrubs in advance. 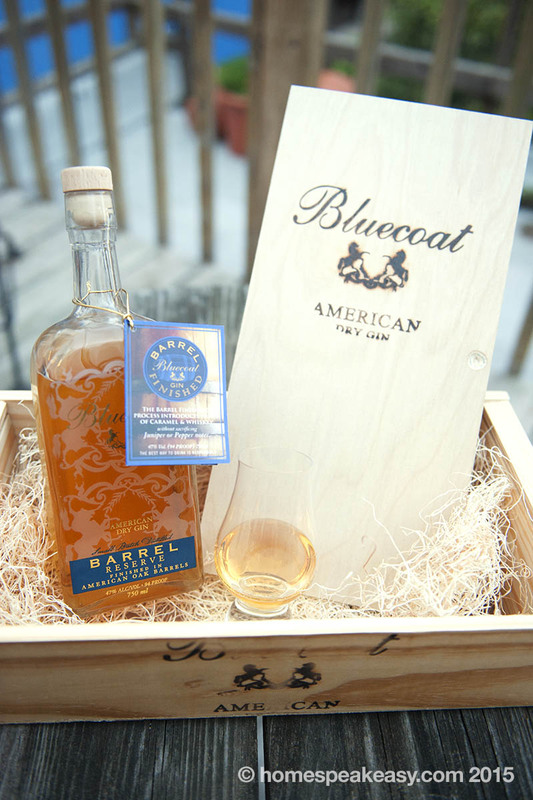 First up was Philadelphia Distilling’s newest offering, Bluecoat Barrel Finished Gin. 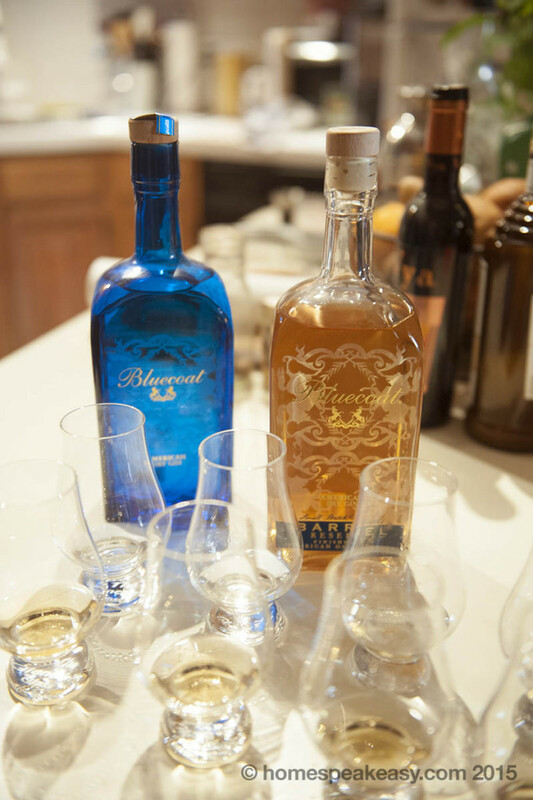 To start things off, we did a tasting not only of the Barrel Finished edition that we were sent, but a side-by-side with the original Bluecoat from our own collection. The first thing we noticed was how similar the two smelled. Strong juniper nose with a little space, with a touch of oak to the aged version. I think we had been expecting a rich, sweet bourbon-ish smell, but it was still unmistakably gin. Until we tasted it, that is. With the Barrel Finished, the nose had nearly nothing to do with the flavor, which was a bit odd at first, but not necessarily a bad thing. There was a ton of citrus flavor with a little pith for kick and notes of caramel. Not much juniper/anise flavor at all. It had a great rich, round mouthfeel, closer to that bourbon experience I was hoping for. Comparatively, the original Bluecoat was much sharper and thinner, with far less character. I’m not the world’s biggest gin fan, but the barrel finished is definitely an interesting entry to the category. 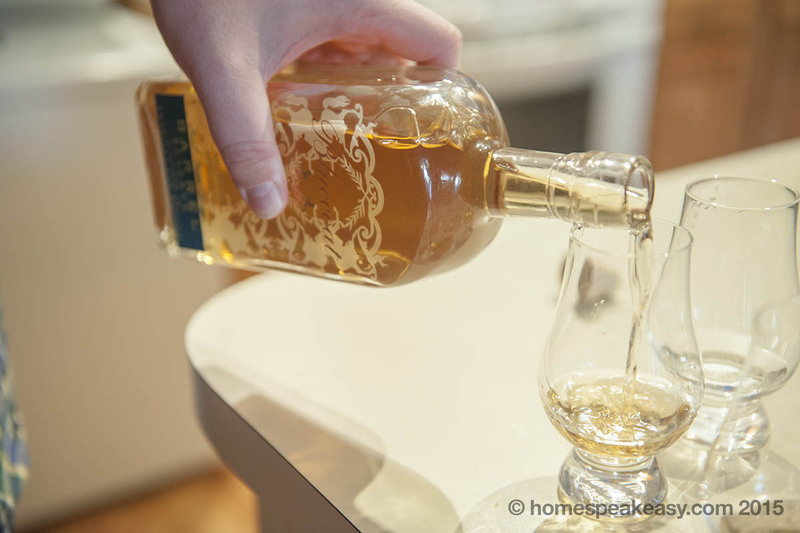 The aging did a nice job rounding off the traditionally “ginny” flavors that might put off some drinkers that aren’t particularly fond of the classic flavors of gin. The consensus was the Barrel Finished was superior, and generally pretty damn tasty. Experiments and recipes after the jump. Place the sugar cubes in a rocks glass, dash bitters on top, stir into a slurry. Add fruit and muddle lightly with the sugar slurry. Add gin and seltzer and stir. 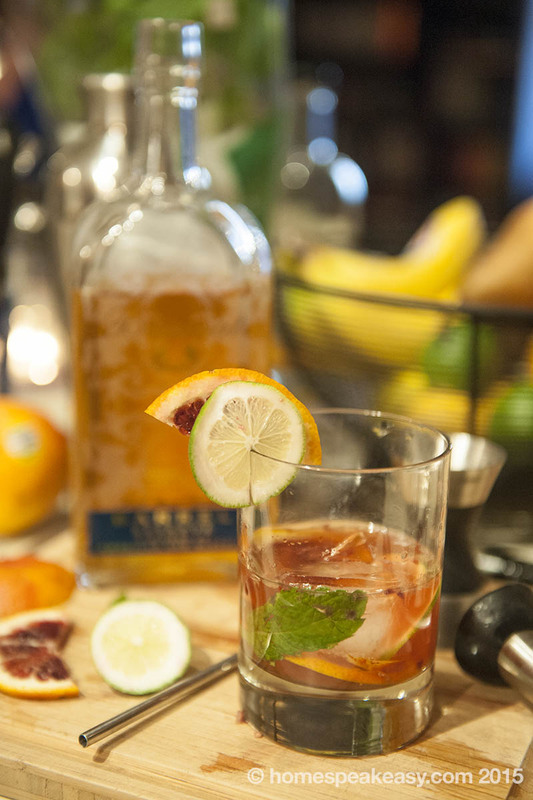 Add ice, garnish with blood orange and lime. NOTES: First attempt, I made this with 1.5 oz gin, but the consensus was that it was not enough. When I doubled it, everyone was much happier. It was really a nice refreshing drink, a bit more light and crisp than a standard old fashioned, and the mint worked surprisingly well with the gin. Overall, a very successful variation on a very basic cocktail. 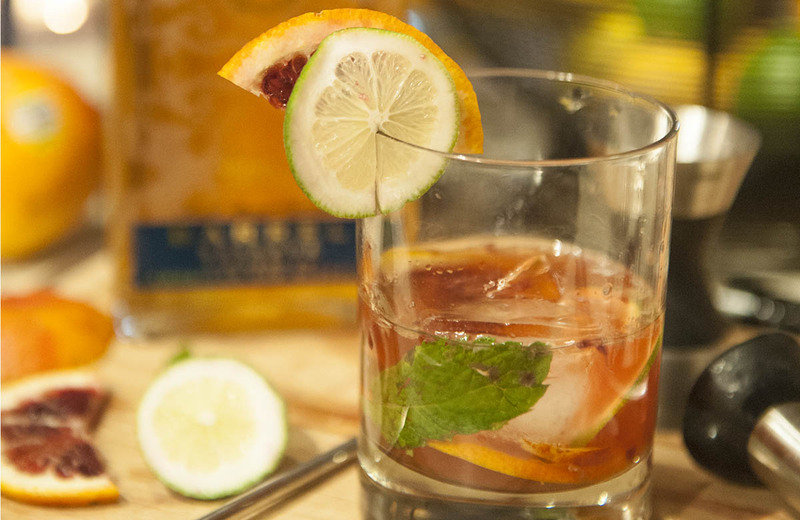 Shake vigorously with ice, serve up. 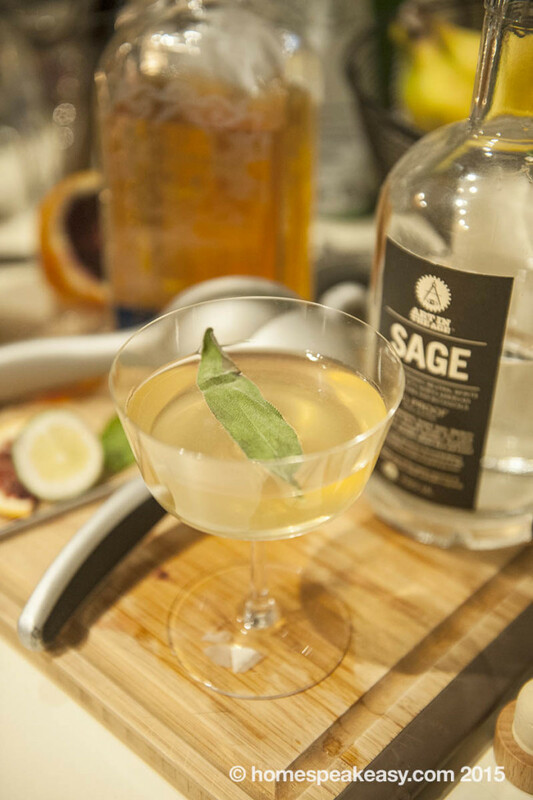 Float a sage leaf to garnish. NOTES: Jen was set on coming up with a savory cocktail, and after a few substitutions, she came up with this one that we all thought was pretty damn successful. It turned out that the Getreide Kummel was the lynchpin to balance a little saltiness and bitterness with the sweet. The result backs a solid liquor punch, but is right in the middle of the taste spectrum, making it really easy to drink. Thanks to Sarah, Jordan and Denise from rocksorneat.com and asideofketchup.com for helping us taste everything. And thanks to Philadelphia Distilling for the bottle. Hello great website! Does running a blog similar to this require a lot of work? I’ve absolutely no knowledge of coding however I was hoping to start my own blog in the near future. blog owners please share. I know this is off subject but I just needed to ask. You’re so interesting! I do not suppose I’ve read through something like that before. So good to find another person with some original thoughts on this subject matter.